Everybody at home likes fresh corn, so when I see them in the market, can't resist myself from picking some. I usually boil it or grill it directly on stove top, both ways they taste very good. But the problem with corn on the cob, is the fiber that gets stuck in the tooth and if you are wearing braces, then it's a big 'No'. So I thought of using the grilled corn in a salad along with other vegetables and made a mint-ginger dressing to go with it. It turned out really good, you can also add some cooked pasta to it and make it a complete meal.. Grill the corn on stove top, as shown or on a outdoor or indoor grill. Slice the grilled corn kernels off the cob using a knife or a corn peeler, it came to about 1 cup. Mix the corn with all the other chopped vegetables. Mix together all the ingredients given for the salad dressing. Add it to the vegetables and serve. This salad tastes equally good when had at room temperature or chilled. Add the salad dressing just before serving, the cucumber and the tomatoes will ooze out water. 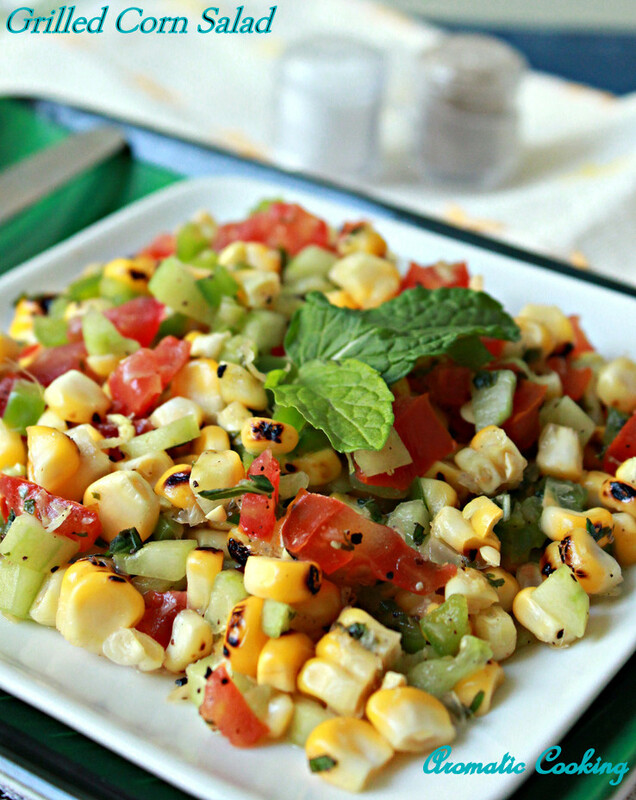 Delicious grilled corn salad. yummy color is beautiful. Saladdd is my hearthy fav all the time :) This salad looks so yummyyy n easy too. Love the colorful salad !! Looks so fresh & colorful...No doubt it had a nice burnt flavor..Got to try this out!! Can i get that plate Hema, corns are my weakness. Hema, the salad is very inviting. I think, grilling the corns in the microwave is also an option. wow!!! 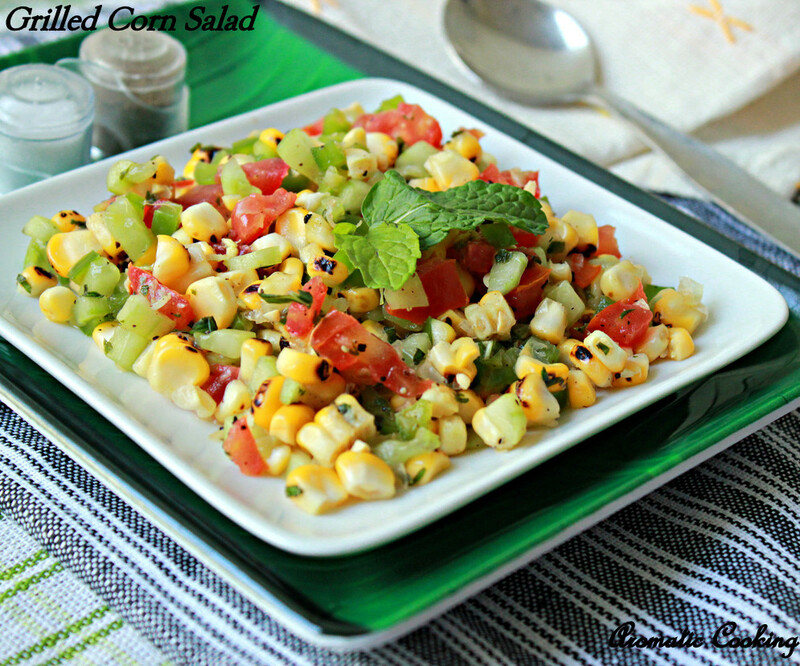 corn salad... seems so yummy... i must try this..